Four rooms for video RAW processing. Is there a better alternative to ClipHouse? Is ClipHouse really the best app in Video category? Will ClipHouse work good on macOS 10.13.4? ClipHouse needs a review. Be the first to review this app and get the discussion started! ClipHouse needs a rating. Be the first to rate this app and get the discussion started! ClipHouse helps you achieve the look you envisioned. Don't worry about the technical details of RAW; focus on bringing those colours to life. ClipHouse offers the most innovative and intuitive color controls to work creatively with high dynamic range, high-resolution images. 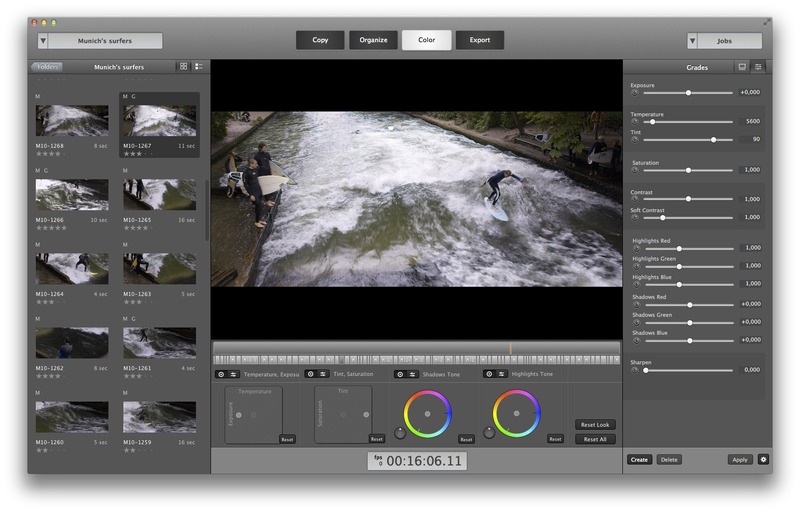 Working directly with the RAW footage ensures maximum quality throughout your workflow. Stick to the highest standards by transcoding high quality ProRes movies for editorial. ClipHouse supports: CinemaDNG and Magic Lantern RAW formats. ClipHouse can be purchased as an annual subscription for $49 per year, or as a perpetual license for $129.